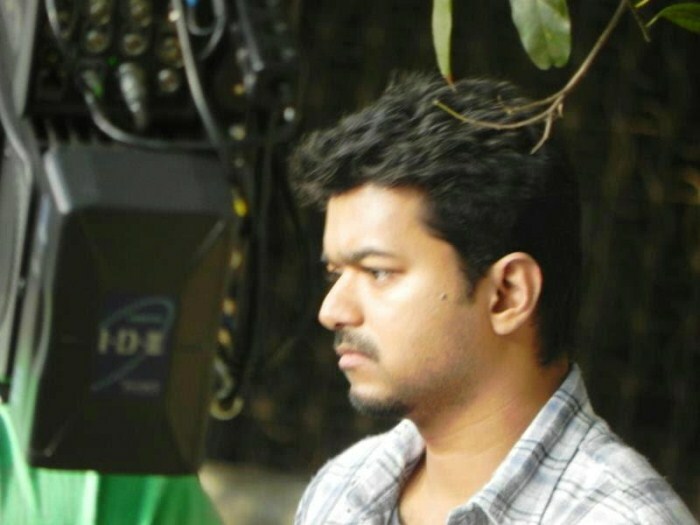 Vijay is presently busy in the film 'Thuppakki', which is written and directed by Director A.R.Murugadoss. It is produced by S.Thanu under the banner V.Creations. This movie features Vijay, Kajal Aggarwal, Jayaram, Sathyan and many others. The music is by Harris Jayaraj. Certain artists have some good habits in them. Some habits would be very good that, even others can or should follow in their life too. Similarly, A.R.Murugadoss has found a very good habit with Vijay. A.R.Murugadoss said, "Vijay should be considered as a very good example". On further explaining his point, he said that Vijay is very much dedicated to his career. His actions proves his dedication. The second when Vijay enters the sets, he switches his mobiles in off condition. He does not switch them again, until his portions are shot or until, he is permitted to take break". This good habit from Vijay has impressed one an all. Disha Pandey made her debut in the Hindi film 'Bolo Raam', which is the remake of the Tamil movie 'Raam'. Then, she entered Kollywood through the film 'Thamizh Padam', and then featured in a Telugu film called 'Moksha'. Now, Disha Pandey is busy in Kollywood. She is acting in as much as 3 projects in Tamil. They are 'Mayanginen Thayanginen', in which she acts as a service operator, and in 'Keeripulla'. Disha Pandey has recently signed on 'Chikki Mukki'. It is directed by a Norway-based director called Srikanthraja. On speaking about the film, the Director says, "Disha is acting in the character of a wife who craves for her husband's love. But, her husband is not in a position to understand his wife's love over him. In this situation, another man becomes crazy for her and tries to woo her. Almost all the works of the film is over. Only few songs are yet to be completed. The film would release in short duration". The producers of Prince Pictures have made an official announcement about Singam 2. 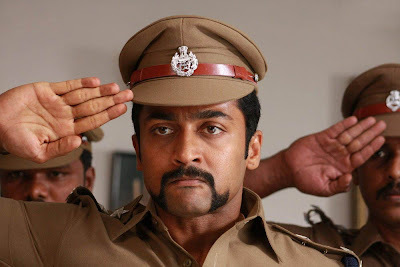 Following the tremendous success of 'Singam', the team is coming back together again for Singam 2. Produced at a budget of whooping amount, the film stars Suriya in lead role while Anushka Shetty and Hansika Motwani star opposite him in female lead characters. The ensemble star-cast of Singam including Nasser, Vijayakumar, Vivek and Radharavi will be playing important roles in this film. The shooting will commence once Suriya completes Maatraan and will be shot extensively in Chennai, Hyderabad, Tuticorin, Karaikkal and Tirunalveli. For the first time, Hari will be shooting some breathtaking action sequences in Africa and Kenya. Apart from Vivek, the additional attraction for the hilarious quotients will be Santhanam, who will be tickling the funny bones with this film. Devi Sri Prasad is scoring music while Priyan is handling cinematography. NANBAN a Gemini Film Circuit Production was the biggest movie of the year 2012. Directed by Shankar, Nanban the Kollywood's version of the biggest Bollywood blockbuster 3 Idiots earned raving reviews for its comedy, sentiment and positive approach in the plot adopted. Leading upto the premiere Vijay TV would air a power packed show with never before seen footage from the making of Nanban, interlaced with actor bytes, director's cut and fun moments on the sets and much more of the film on 29th April 2012. 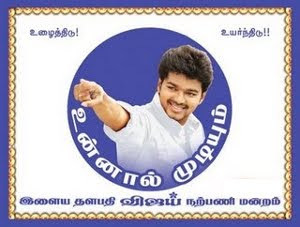 This extravagant celebration of the astounding success of Nanban event which was held at Chennai, featuring the entire cast and crew of Nanban including actors Vijay, Sathyaraj, Jeeva, Srikanth, Santhyan, S.J. Surya and director of the film Shankar would be telecast as two hour special show on Sunday at 1100 hrs.